A massive haul of illegal fireworks has been destroyed by Peruvian authorities in a spectacular and colorful explosion captured on video. 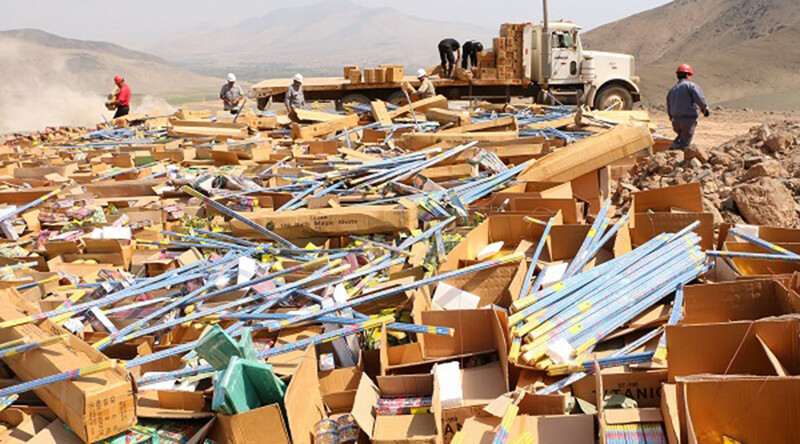 Over 20 tons of pyrotechnic products were seized by Peru’s Public Ministry and handed over to the National Superintendency of Control of Security Services, Arms, Ammunition and Explosives for Civil Use (SUCAMEC). 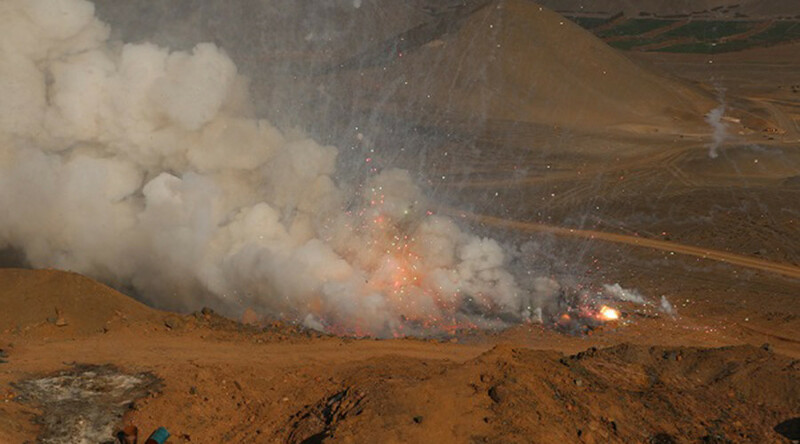 The controlled explosion took place in the district of Chancay 76 kilometers (47 miles) north of Lima and was the largest act of firework destruction carried out by the country's arms control body. "The burning of pyrotechnics definitely eliminates the risk of accidents," said Juan Dulanto Arias, Manager of Control and Supervision of the SUCAMEC, who presided over the act of destruction. Peru is subject to some of Latin America’s most stringent regulations on the matter of fireworks which were implemented in the wake of a tragic blaze at a shopping centre in Central Lima in 2001, in which close to 300 people were killed. The inferno broke out at the Mesa Ronda shopping centre on December 29. Firework vendors were setting up stalls when a spark from one fireworks display landed on another collection of fireworks, causing the initial explosion. The blaze quickly spread and raged for several hours before it was contained. At least 291 people were killed in the disaster.